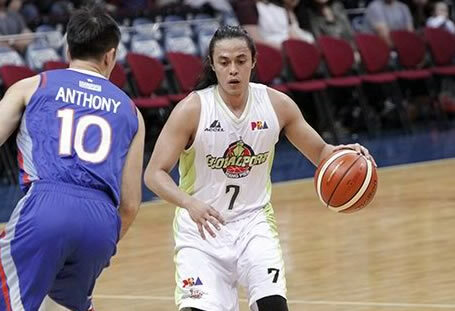 Terrence Romeo is the current premier guard of the GlobalPort Batang Pier in the PBA. He is also one of the main guards of our Gilas Pilipinas for the international games. Terrence only stands at 5-foot-11-inches. Last December 28, 2016 during his interview about his Christmas day celebration Romeo stated that he celebrated the day with his family and his special someone. Ouch! sorry about that girls. On the other hand, the video below contains some of his killer crossover plays in and out the country. The videos also contain all his tough plays and killer moves as a GlobalPort Batang Pier point guard and as a Gilas Pilipinas cager. Please enjoy watching the videos below courtesy of Youtube. Note: All videos are respectfully credited to their respective owners. Terrence Romeo 19 Pts Full Highlights vs France (05.07.16) Puso!